“Mommy, you’re my best friend!” That’s the latest proclamation from my 3-year-old daughter. It also happened to come right after I allowed her to have a large chocolate bunny I had been hiding but she found during a pantry raid. But it did make me realize that she’s starting to understand the concept of friendship – for her, it simply means people who go out of their way to do nice things for each other. 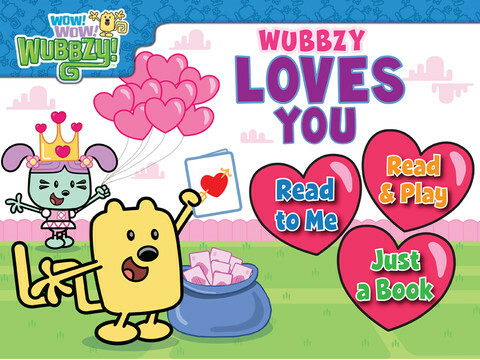 Wubbzy Loves You is an app that also teaches little ones about friendship and without sacrificing any of the hidden chocolate stash. 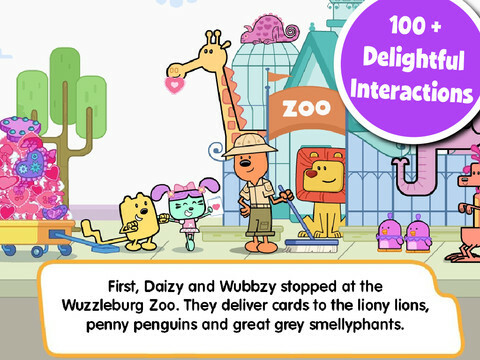 In this interactive storybook Wubbzy and Daizy must save the town’s Friendship Day celebration by delivering the mail after Mr. Mailman gets sick. This app is busting at the seams with added features beyond the basic storybook element. Three separate reading modes appeal to a wide range of ages and skill levels, with different options for narration and interactivity. Hidden teaching gems are scattered throughout the pages, like the clock and the calendar that have voice narration for the time and the month. At the end of the story there are two games that utilize Common Core State Standards (CCSS), universal fundamentals that prepare children for college and the world beyond schooling. Love Counting addresses number recognition and Love Words works on spelling and letter recognition. Other fun options include Wubbzy music videos with the lyrics displayed and coloring pages where the paint colors are spoken aloud when tapped. Aside from being my friend for a small reward of chocolate, my daughter loves Wubbzy just as much as her 5-year-old brother. They loved (sorry, couldn’t resist!) playing this app together, and my son actually told me that his sister was finally his friend. I used the talking points provided at the end of the story to start a discussion with the kids about key points from the story and how friendship applies to their “real life”. 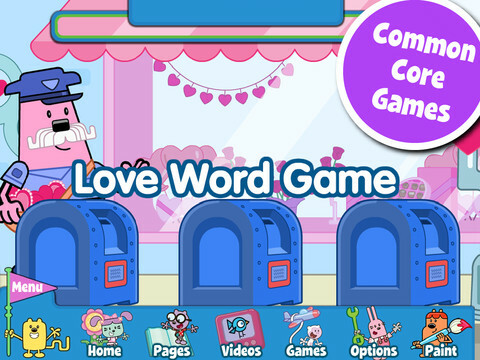 Cupcake Digital is one of a group of developers who are thoroughly utilizing the CCSS and it clearly shows in Wubbzy Loves You. Rest assured that your little one will be refining their early learning skill sets while having fun with characters that they know and love. Priced at $1.99 this app is a must-have; it’s certainly a great value and a ton of fun. – None; we love Wubbzy!